Talking about pelvic surgery and prosthetic implantation means referring to a urologic oncological patient with many traumatic surgical and rehabilitative experiences. 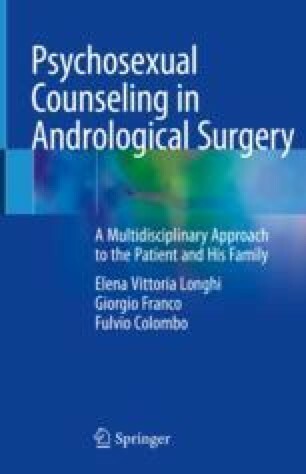 We are speaking of patients with prolonged emotional vulnerability and of partners subjected to a variety of stresses: fear of possible loss of the partner (after diagnosis) during surgical treatment, depressive fatigue and affective complicity during rehabilitation for incontinence and erectile deficiency after urologic oncological surgery, and, finally, tension and concern about the outcome of the prosthetic implantation. In all of these clinical steps, both patient and partner become “unwitting therapists” of themselves, involving themselves in more “clinical contracts” regarding health and quality of life.